Content Management System (CMS) is a recent buzzword in website development. It has made management of websites a lot easy for common users, who do not have a sound technical knowledge of various programming languages and applications. CMS enables users to write, upload and store digital texts such as technical manuals, news articles, marketing brochures etc. The content thus managed entails electronic files, audio & video files, online documents, spreadsheets, image media, word processor documents etc. CMS also helps website owners opt for multiple content developers and protect various sections of their website. 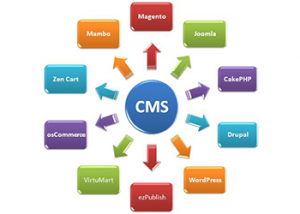 [Read more…] about What is Content Management System (CMS)? What is the need for the Best Content Management System? What is the Content Management System or CMS? Why is it important to know about CMS? Content Management System or CMS has grown as an important element of web site designing. Not just the web site designers but many big and small businesses have realized the need to have the best Content Management System for their web sites. Let me tell you a little about CMS. Content Management System or CMS is not just the text or the content that you see on a web site. It also includes the visual content that is available on a web page. You as a web site designer should update the web site content on regular basis so that your web site is able to attract users as well as remain popular in the search engines result list. The content available on the web site should not be just words put together, on the other hand it should be something interesting and useful for the visitor. This will help them come back and visit your web site over and over again. So all in all I would say that content is the king and it helps you directly and indirectly get good page ranking in the search engine result list and earn revenue. It becomes extremely important for a web site designer to know about the best CMS for website as it is something that is seen by the final as well as the first time web site visitor. Content Management System or CMS offers you the flexibility to update your web site without impacting the overall look and feel. You can simply change the content and the HTML of your web site using CMS like embedding new links, modifying text or adding new contents, updating links, videos and images. If you have a web site for selling electronic items or apparels for that matter than you surely need to know about CMS and should implement it on your web site so that you list in top few pages of the search results. When you list in top only then will you get hits and sales and thus revenue from your web site. If you intend to use the CMS application for your web site then you can get this done from your developer. He or She will be more than happy to help you provide this service. With little computer knowledge even you can implement CMS for your web site. It is easy to use and requires no knowledge of any coding language and you can finish the task of updating your web site with text and images within a day or so. On an average you need to upgrade your web site once or twice a monthly or so. There is no set rules as such that bind or govern when to update a web site and when to not, so at the end it all depends upon situation, product or services you are offering on the web site. When you have CMS at hand, you no longer require a web site designer or developer to upgrade your web site. You can easily do that yourself and can save money as well as time. However if you require to do a major change in your web site then definitely take help from a professional web designer. Doing any major change to your web site without proper knowledge can land you in trouble. When you are in trouble unfortunately you would not have anyone around you to help you and you can actually end up making your web site inoperative until the problem gets resolved. The summary is that you should know about CMS but you should only use it to do small updates to your web site. For all other things, the best is to contact and take services from a professional web site designer. What is WordPress? How Can I Make Money? What are the Various WordpPress Benefits? Know All About WordPress? Do you blog? Do you have a blog where you write your heart out? There was a time when people use to consider blogging as insane but time changes and with it there has been a change in the mind set of people. Now-a-days blogging is considered as the most popular activity online. The various reasons for such a high popularity of blogging are doing blogging is fun, you write what you want to without the fear of anyone and blogging has proved to be a good method to earn extra money. When you can do so much using blogging like earn money, expressing yourself then there is no reason why it should not have become as much popular as it is now. With this increasing interest of people into blogging, many blog providers have come up to offer services. There was a time when people who want to create or update their blog had a lot of difficulties, but now designer blog templates and widgets have been launched by many blog providers to woe blog makes to register and create blog using their services. If you love blogging then you must have heard of WordPress. It is actually blog software that provides you with multiple blog designers and templates, widgets, forums, poll options and so on. These are just few WordPress benefits, there are many more to be added. Basically, WordPress helps a blogger by making his/her blogging job easier, simpler, appealing and attractive. It provides wide range of tools that make blogging hassle free, as it has one of the powerful publishing platforms so you can easily make and publish your blog to be viewed by other internet users. You can use WordPress on any web hosting service as it is software and not merely a blog hosting service provider. This gives WordPress complete flexibility to be hosted anywhere. You would be surprised to know that WordPress doesn’t have a hosting service of its’ own. But then too many bloggers want to build a website using WordPress. This is because its’ platform is quick, reliable, light and top of all completely free of cost. Let me tell you some more WordPress benefits and what exactly are the reasons which excite bloggers to use it. As already explained, you can use WordPress practically on any blog hosting. WordPress is designed in such a way that you can install it practically on any location, server, and hosting provider. This provides blogger a complete control of the blog thus making the experience completely different than what other hosting providers give. Another WordPress benefit to be highlighted is that you can install it on your local machine and then can even set up and run your company intranet on it and thus can extend the blogging experience at multiple locations. If you are thinking, does WordPress make money then let me tell you my friend, it is true. You can earn anywhere from $0.10 to $0.15 per click through advertisements posted on your blog. This earning technique is called PPC or Pay per Click. When somebody visits you blog and click on an advertisement posted their then you get paid for it. So the more attractive your blog is, the more will be the visitors on it and better will be the chances of being clicked and when you get clicked you earn, so all in all more money. My personal advice to all bloggers would be that you should not simply create a blog seeing what others have made. You should first find out what things interest you and then pick a topic and create a blog. Make your own footsteps and don’t simply follow what others have done. You can write a blog on movies, food, on various products and services and so on. You have so many niches to choice from so find out the topic that you would love to blog about and are passionate about and then start blogging. When you blog passionately, you find out multiple ways through which you can en-cash your passion and thus money will follow. You can even manage the accessibility level on your blog for different computer users using the various reliable and effective WordPress User Management services. You also get benefit of controlling the level of rights given to the user. This means if you want a particular user to be able to only see your blog but cannot change or update anything on it then you can even do so. All this is done using the profile settings and this helps in setting up a good medium of communication between computer users and the owner of blog. WordPress is close to 90% amenable as per the industry standards mainly to the Universal Coordinated Time or UTC. This gives WordPress a complete flexibility with other platforms. Another advantage of compatibility with UTC is that it allows correct storage of items related to time in the database thus making tracking of entries easily and quick. This means that when you post anything you get to know when you post it irrespective of the time zone you are in. Installing WordPress is simpler and the complete installation setup takes even less than 5 minutes. Even the up-gradation process is completely error free and user friendly this means you can upgrade your WordPress version without any technical help. Wondering does WordPress make money? Let me tell you, it does. You can easily make money using various features available in WordPress. If you want to do blogging with an aim to earn money then you surely need to have an attractive and catchy blog. You also need to upgrade pages quickly and on regular intervals so that your blog ranks in the top few search result pages. WordPress fortunately provides you with all the features and tools that you require for fast blog updating. With WordPress you can enjoy as well as earn. 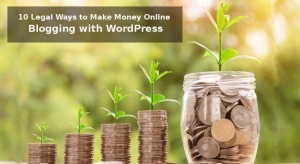 You can use WordPress to help you earn money so you practically do not need to spend time and money building your own website. You can simply build a website using WordPress and earn money. You can put high quality products for sale on it or can earn by PPC or Pay per Click method. Have you ever wondered how online web sites generate money? It is by making people visit them. If like them you also want to make money then build a web site using WordPress as it is much simpler and less costly but generates approximately the same amount of money. A Professional online marketing, parthiban is working with WDO Technologies India. Is a leading web design and development companies have been Providing web design, graphic and logo design, web design programming, web content writing, SEO and the staffing of search engine optimization services around the world. To facilitate the generation and editing content for the Web by personnel without specific training in programming. To ensure a uniform appearance of all content and its presentation according to a corporate design and editorial line with a predefined. Maintain consistency in the structure of Web sites, allowing the incorporation of new content in the appropriate sections after approval and the preliminary screening of the persons listed. Maintain a consistent navigation that allows users to reach each of the contents that are published at the time. Avoid the existence of duplicate content (different URLs that show the same content), an orphan content (files left on the server unnecessarily because they are pages that no longer suggests any link or image files or multimedia to be shown on pages deleted) or broken links, pointing to pages that do not exist on the server. The managers of content or CMS are software tools that allow decentralize the work of maintaining the content of a portal, so that non-technical staff from different departments of an enterprise can add, edit and manage their own content on a corporate Web. CMS and search engine positioning: a symbiosis impossible? However, despite its obvious advantages, the traditional approach of such tools has focused on providing the best content management by streamlining production processes, approval and publication of the same, rather than generate Web pages properly optimized to be competitive in the search engines. The factors that make a Web portal is friendly to the search engines were discussed in various articles of this section, as well as the Basic Guide to Search Engine Positioning. Dynamic URLs: search engines sometimes limit the number of dynamic variables in the URLs that indexed. The pages generated by many managers frequently contents include a large number of dynamic variables in your URL. Unique Titles: The title of a page is one of the most important factors when it comes to positioning well in a content search engines. However, many content management systems do not allow users to assign a single relevant to each page. Lack of support for meta tags: CMS does not have many specific fields for the user to specify the contents of the Description and Keywords meta tags. Although not as important as the way to achieve a good position in search engines, these labels are still playing an important role in the choice of the user to click on our site on a search results page. Lack of keywords in the URL: dynamic URLs generated by many content management systems tend to be somewhat friendly to both the user and for the search engines, and do not include search terms that contribute to a better positioning. Unable to post an optimization: the process of producing content that imposes the use of a CMS system makes it very difficult optimization of the post-generated content, and in the best cases, adding an extra work load that could be avoided if SEO company aspects had been taken into account in the implementation of the manager. It is therefore ironic that precisely those companies that are investing more resources in the maintenance and creation of new content for their websites which, while less benefit from the volume that could mobilize such traffic due to poor implementation of their systems content management, from the standpoint of search engine positioning. A failure that in many cases is not due to shortcomings of the tool itself, but an ignorance on the part of technicians to implement the importance of having that content generated by it can be competitive in the search engines. But in the same way that a poorly implemented content manager may reduce the return on investment in content generation of a portal, one that has been taken into account the basic aspects of the optimization for the Web search engine positioning can be the ally most effective way to generate content that will be climbing the posts of more competitive. Let’s see how. Use code valid according to W3C: managers of content based on templates, and users can not alter, to generate new pages. If we validate the code of these templates at home, we ensure that the pages generated from them also contain valid code. The use of valid code ensures that the page will display correctly in different browsers and search engines will be able to track smoothly. Create a site map: nearly all content managers allow you to create and maintain an updated map of the site. Search engines limit the number of links that can keep 100 per page and be normal HTML text links. If you adjust our content management system for generating and maintaining a hierarchical map of the site with these premises, to provide search engines that can track each and every one of the pages on our site. Limiting the level of subdirectories: search engines give more importance to the closer a page is the portal’s home page. That is why we must limit the number of subdirectories that shows the URL: many managers allow content hierarchically organizing the content regardless of the physical location of files on the server, introducing much more simple URLs that the actual structure of the directory. Connect the control validation of the CMS links: Most managers control the publication of broken links that point to content controlled by the managers themselves, but few validated that a link that points to an address outside is not a broken link. If control there, make sure to connect it to prevent a user can insert a link to a website nonexistent. Leave the control of the robots.txt file to the webmaster: some allow content managers to edit the content of the robots.txt file by the author of a page. In general, is better than only the webmaster controlling the contents of this file to prevent, through ignorance, a user can block crawling robots an important part of the Web. Avoid duplicate URLs: search engines are highly selective when it comes to punishing the duplicate content of a Web, so you must make sure that each page only exists under a single URL. In any case, if the users can get to the same content from URLs counterparts, it is better to schedule permanent redirects 301, which are not penalized by the search engines. Reduce the garbage code: simplifying the HTML code using the templates and opt to use Cascading Style Sheets (CSS) instead of tables to lay out the contents. The use of Cascading Style Sheets makes it easier to update a Web design chennai, reduces the weight of the file (layout traveling once from the server to the user, then it is already available in the temporary memory, or cache of the browser for following pages visited) and gives greater preponderance to the significant content of the page with respect to the total weight of the code of it. Do not forget that there are the headlines: the use of styles makes us forget the existence of a hierarchy of HTML tags (H1, H2, H3, etc..) Whose final appearance can also change styles, but they help search engines to better understand the logical structure of the page signal and what aspects are more important. It is therefore important to encourage publishers to use content headings rather than simply defining the text larger or smaller in size and font, if possible, limit to a single heading a top level (H1) per page. Require the creation of a single title, and the addition of meta tags relevant: CMS schedule so that the completion of title and meta tags is a requirement for the publication of the contents and, if possible, activate a control to verify the uniqueness of title. Require filling in the alt tag to add a picture to the content. This tag lets the search engines to index the best images, is working on the relevance of key terms of the page and improving the accessibility of content by individuals with vision problems. Implement controls to prevent the issuance of duplicate content. It is therefore evident that if the implement a content manager to generate and maintain the contents of a large portal takes into account aspects relating to the optimization and web search engine positioning of the portal we can encourage or, in some way, impose a certain discipline through the CMS system itself, involving the editors to create content pages easily traceable and indexed, which can compete adequately in the search engines. The big companies have the raw material favorite search engines: content rich, original, dynamic and rapidly updated. Size all the capacity of managers of content to extract the maximum return on investment they make in their presence on the Web.